We pursue so many things, but only one pursuit brings wisdom. Paul reminded the Athenians that God made us to seek after him and find him (Acts 17). The wisdom of Proverbs keeps leading us back to "knowing God" and having a deep and reverential awe toward him as the source of wisdom. 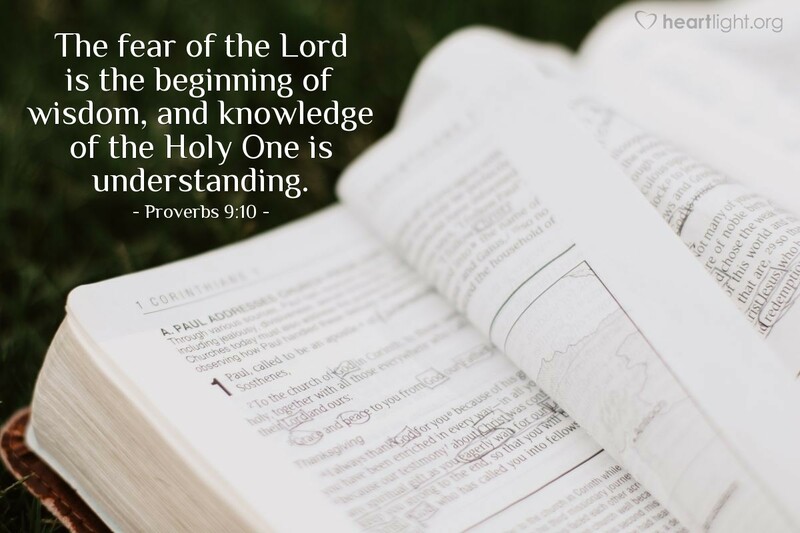 Understanding of priorities, needs, purposes, goals, problems, and issues can only occur when we first recognize who the Lord is and know him in our day to day lives.